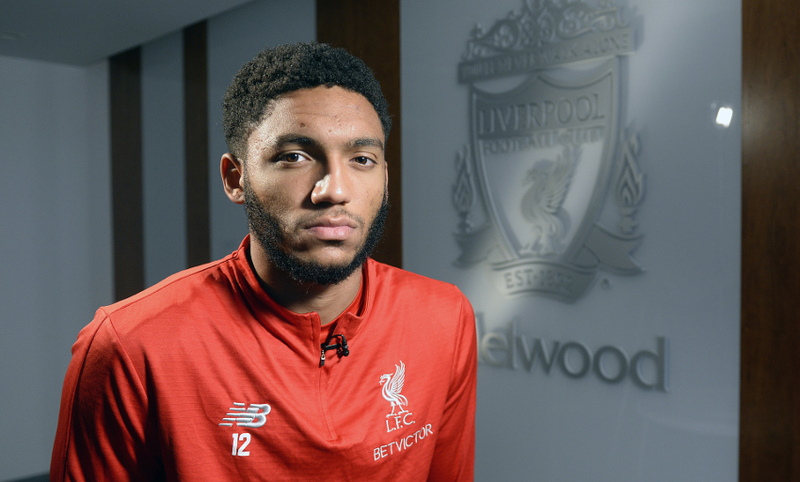 Moments after putting pen to paper on a new long-term deal with the club, Joe Gomez sat down with Liverpoolfc.com at Melwood to explain why the decision to commit his future to the Reds wasn't one that required much thought. 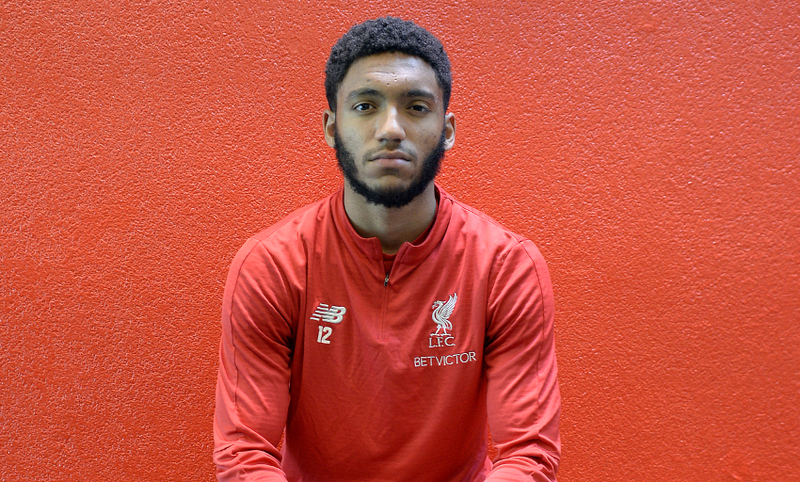 The 21-year-old - who is likely to be out of action until the New Year after sustaining a lower-leg fracture against Burnley last week - inked the fresh terms at the club's training ground, much to the delight of supporters - and indeed, Jürgen Klopp. 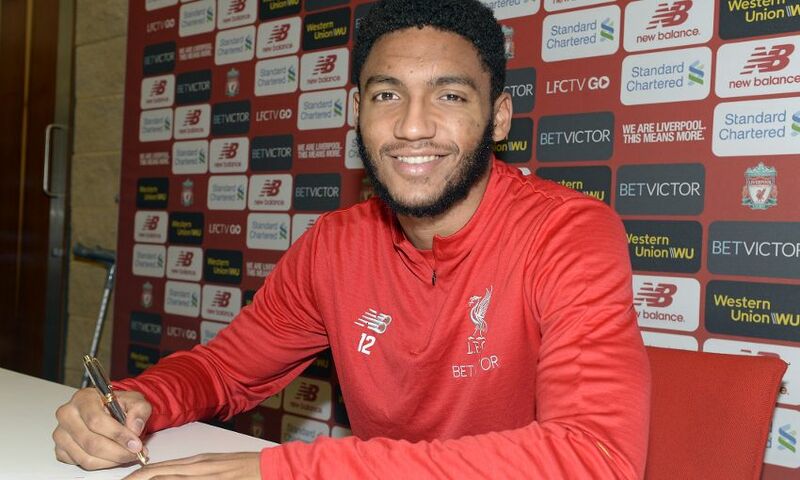 Gomez, too, was equally as thrilled to have signed the contract as he outlined why he's relishing every second of being a Liverpool player and what the backing of the club's fans - including their new song for the No.12 - means to him. Read on for a full transcript of the interview, or click play on the embedded video below to watch. Need a subscription? Sign up here. Joe, congratulations on signing a new long-term contract with the club. What does it mean to you? Thank you. It means the world to me. I’ve been at the club a few years now and had the pleasure to play for Liverpool and experience what that means. I am delighted to get the chance to extend my contract here. I love the club, I love playing and learning here, and I am happy for that to continue. What makes Liverpool the right club for you? Everything about it; the whole support of the club, the passion, the ambition we have and the history as well. It is a massive club, I think everyone knows that, and you get a real sense of that when you’re here around the building, the people and in the city. It is a place I’ve loved and, in a way, I’ve grown into a man here. I came here when I was 18 and I have learned so much. Through the highs and lows, I have loved every minute here. It’s somewhere I want to be, hopefully for the rest of my career – I would love to be at this club the whole time. How do you look back on your time here so far? There have been a lot of highs and lows. It’s my fourth season now and every one has been different. Obviously I would like to have had a few less setbacks along the way, but it has all been part of my journey – one that I have loved and embraced. I have learned so much. There have been good times on the pitch as well. Hopefully that can continue. I am learning under a great manager and great coaching staff and have all the tools around me to keep progressing and learning. I am looking forward to it. What makes you believe the club is heading in an upward trajectory, and towards silverware? It’s self-explanatory, really. I had a long time left [on his previous contract], but I am so eager to be here for the long-term. All the signs show where the club is heading, where our team is heading. We got so close last year in the European competition and in the league this year, we’ve shown such good character in the start to the season so far. [It's] our best start ever as a club, so that shows if there is ever a time to have belief in the club and where we’re going, it is now. Is this the kind of club players from outside look in at and want to be a part of? Yeah, 100 per cent. We’re all grateful to be part of a place like this, especially at a time like this. I don’t think any of us take it for granted. I definitely don’t and that’s why when the opportunity to stay even longer came up, I was very eager. It’s a great place to be, everyone knows it and feels it within the club – all the players know it and long may it continue. Do you get a sense the team are on the verge of something? Yes, definitely. I think we were so close last year – one game separated us from that – but the journey showed the progression we’ve had. Domestically this year, it’s something we’re aiming for as well – to win the Premier League. I think we have all the tools; the squad is so strong, we have so much strength in depth, that it is definitely feasible. We’ve shown that with our start. We go on the pitch and believe we can beat anybody. I think every team in world football fears playing us, especially coming to Anfield, so I think that shows the stature of the club. You picked up an injury last week – how will you deal with this setback? Obviously I am devastated with the timing of it. You never want to get injured. I’ve been here a few years and I am still young, but it’s something I’m used to and I am capable of dealing with setbacks like this. I’ve done it before and I’ll do it again. You never want to be injured, as a player you always want to play. It will be tough for me sitting out for a while, but I will do everything I can to get back better and stronger. You’ve been unlucky with injuries during your time here, but does that equip you better for such setbacks? I’ve had longer ones and similar ones in terms of the timescales, so I know the different phases and things like that, what it will take mentally to overcome it because I’ve been there. It is difficult, but I am ready for it and more motivated than ever to come back stronger and get through it. What is your coping strategy? Family helps a lot. I think just staying focused on the task and doing all I can – if it’s not on my leg, then focusing on other areas I can improve, watching games, watching analysis and keeping my mind occupied and on it so it’s not like I’ve been away for a while and mentally I’m still prepared. I’ve done it before, I’ve done longer, so I know how to deal with it and mentally I’ve been through this sort of struggle before and it’s not easy. I know it won’t be, but I will be able to deal with it. So you’re someone who will watch the games and stay around it? In the past I’ve been through that phase where, when I had a longer one, I just wanted to seclude myself and be away from it. With this one, it is short-term and I want to stay prepared and ready so when I come back, mentally I haven’t been away. That is what I will do my best to do – to learn as well, keep learning. That’s what I always want to do and I can do it off the pitch by watching clips and so on, so it’s something I’ll definitely try and do. It’s a busy run of games to miss, but you’ll be around Melwood around the other lads? Yes, definitely. The boys are always so supportive when any of us get injured, so I’ll definitely be around supporting the boys at games and everything. It is disappointing for me, the timing of the injury in a busy period and that I can’t be available to help the team, but it’s something I have just got to get over and be ready for the new year. In terms of the reaction you’ve had, what have you made of the response on social media? It means the world. Honestly. You have that initial shock, but the support I’ve had sort of numbs it a bit. It means so much, genuinely, that the fans are that supportive. All their well-wishes are something I appreciate massively. It’s a bit overwhelming the support and something I am grateful for. A club like this, it just shows in times like this, it is a real family and they are really supportive and caring. It’s massive for me personally and has been a big plus in the last few days. What kind of messages did you receive after the injury? Ingsy messaged me before I even knew about the scan. After the game, straight away he messaged me and I told him I would let him know – obviously at that point I didn’t know. Ingsy is one that I have been through a lot with. He is someone that is fondly thought of and for me personally, I have been through a lot with him, So, Ingsy and all the boys, all the lads who played the game – I had to shoot off early [from the stadium] but they all messaged me on the way back. It just shows the support within the club and the real family feel the place has. On a lighter note, have you heard your song yet? Yeah! When I was on the stretcher [at Burnley], I was obviously not in the best of places but I heard it and honestly, it gave me butterflies – in a moment like that, it helped numb the pain a little bit to hear the fans were that supportive. It is a dream to have a song about me by the fans. It means a lot to me. Is the message to the fans then when you’re back you want to hear it again? It would be nice, but I will leave that up to them! I will just focus on just getting ready and hopefully I can be back and do my best for the team soon.